This is my first article about Google Plus. We all know that Blogger is a very big platform for Blogging, We also know that there are many things to customize and popular our Blog which are designed by Google or any other developer. 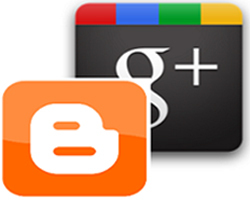 Google Plus is one of them which is cause to popular our Blog. G+ is very useful thing for Bloggers and other site makers.Today i will tell you that how to add your Blogger Posts to Google Plus page. If you add your Blogger posts to G+ then your site ranking will be increased. Your friends will know much more about your Blog. Your Blogger posts will popular and more precious. 1. Write your post normally on your Blog and publish it. 2. After Publishing, go to Posts Tab placed on right top of your Posts Page. 3. When you will Click on Posts then a Page of Posts Will open. Click share button placed under your published post title. See the picture below. 4. 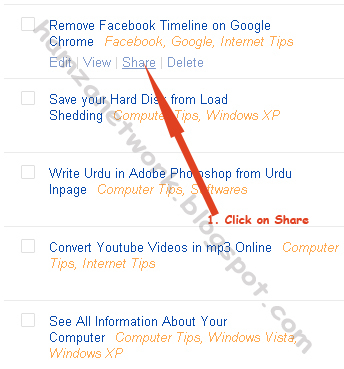 After clicking on Share button, a box of Google Plus will open. Set up your post settings according to your wish and click on Share. 5. 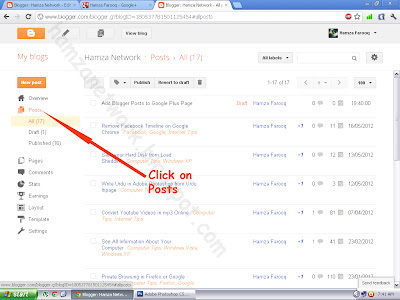 Now you have done everything and your Blogger post has added to Google Plus page. 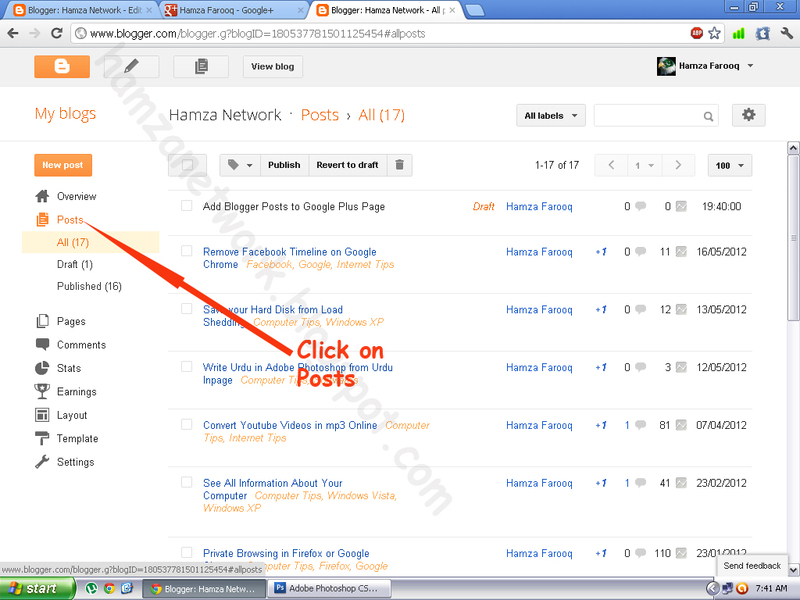 You can check your Blogger Post by going on your Google Plus Profile. 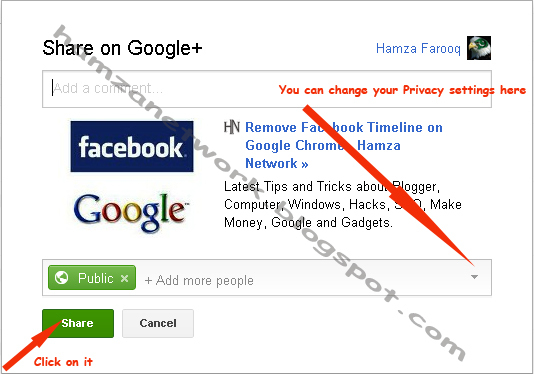 And next time Google Plus Share box will automatically come after publishing any post.